What Most Supports Life In This Moment? 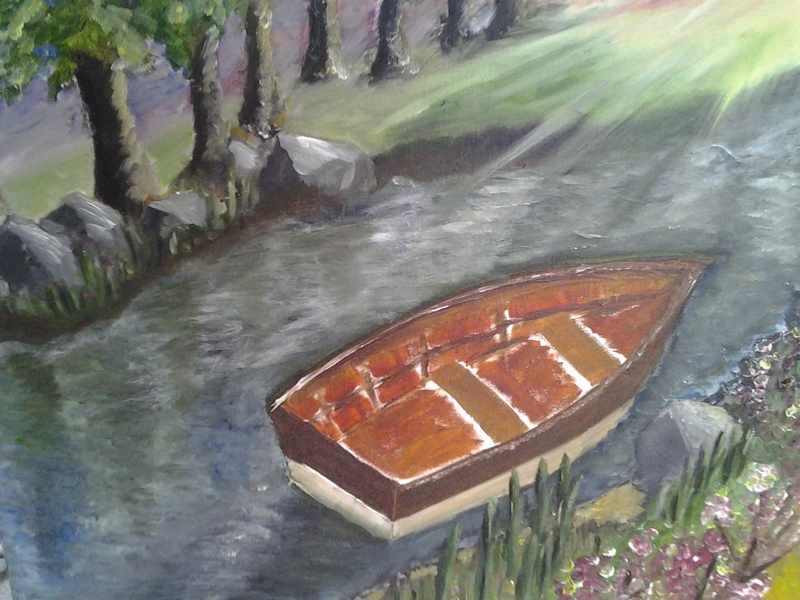 This is my new painting called “The Boat”. 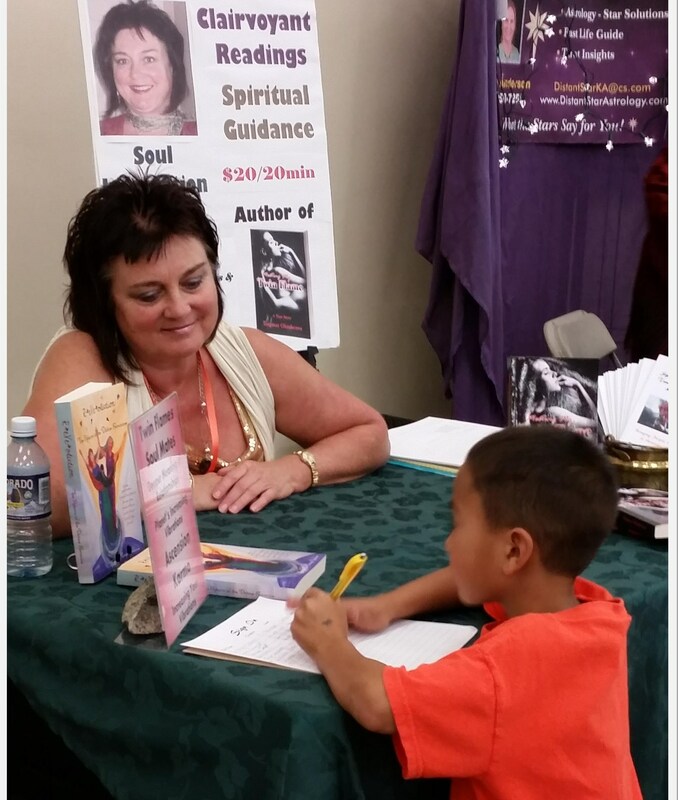 It is inspired by my own personal spiritual journey, as learned through the workings with my mentor Erika Niemann. As we move into living life from the inside, rather than from the outside looking in, controlling every aspect of it becomes nearly impossible, as it is much like swimming in a river. Overwhelming and impossible to control. Life is rich, colorful and multifaceted with a lots of currents that can pull us into different directions. However, if we learn to work with life, trust and allow life to support and carry us, we may find an unprecedented peace, impossible to experience by living life from the outside looking in, fending for ourselves. The best way to be in a symbiotic relationship with life and allow life to support us is by asking ourselves: “What most supports life in this moment?” The question puts us into the boat. The key to being supported by life is being in the boat. I would like to share with you the following post written by my son after going through some tremendous trials recently. I wish for all of us to have such incredible appreciation for life as he has come to have. Wonder – the desire to know or to be curious about something. I’ve tried to live my life with constant wonder. I’ve always been interested in the way things work and how the universe is put together. For instance a flower… Such a beautiful construction of such complexity yet perceived with such simplicity. All the mechanics of nature coming together to produce such an amazing construct that produces pleasure for so many creatures on what we perceive to be the simplest level. Yet to describe to someone how a flower came to be is a very complex question. Proportions are specifically designed yet no one built it, it just came to be by the randomity of life by our physical perception. However; in order for the flower to look, smell, and taste the way it does the universe had to work in just the right way in order for it to become what we see when we go for a walk. The beauty it portrays is one hundred percent a divine construction. A creation of the master plan by the master of all. To me a flower represents the sheer beauty, peace, and awesomeness of life. So when I get a chance through the normal day to day hustle and bustle I try to take a moment and stop and admire the sheer gift that has been given to me by stopping and smelling that flower that was inspired to live right there in that moment which allowed me to come across it to be able to appreciate the wonder of the universe that we live in. My name is James Perkins. I am an estranged husband of a beautiful wife and the father of three children. I have experienced the sheer destruction that drug addiction causes to ones life and have been homeless and can fully appreciate the lack of compassion that mother nature truly has when it comes right down to survival of the fittest. However; through these experiences I also found love, a true divine connection, a way that everything is connected or what someone might perceive as God. That love and compassion do exist and they are not just a manifestation of perception. Love exists. Beauty exists. Life exists. I’ve realized through my travels that the one common denominator that everyone and everything searches for is love. Sometimes people manifest this in aberrant ways which is what we call evil. From my experiences I have learned that evil is really the pursuit of love by destroying. Of course this is why when you are on the path of evil you don’t find love but rather more evil. One can’t go through life harming those around him and not become harmed himself. I have been clean for a while and now I’m putting my life back together. By grace I’m alive and have a chance to start over. Not everyone gets this chance and with this realization I know that I have been blessed with a chance to understand and live a life filled with love.